Erie Sports Now Fitness has a program for virtually anyone. Plan your workout with the Erie Sports Now Fitness and Training App! Erie Sports Now Fitness has a program to fit anyone’s needs. The program addresses sport relative goals as it relates to the individual and team’s seasonal calendar. Each session will include age-appropriate coaching that will take the team through movement preparation that includes systematic mobility strategies and dynamic warm-up. Sessions will include acceleration and agility drills that develop components of linear and lateral movement. Power and strength capacity strategies will be incorporated and scaled accordingly to each athlete. The conclusion of each session will focus on recovery to create longevity in the athlete’s career. Whether you are a high school, collegiate or professional athlete, we train athletic movements, not individual muscles. 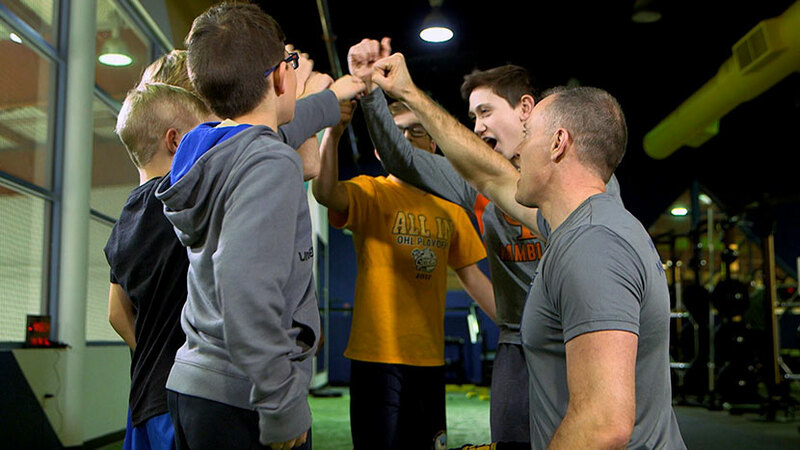 Programming is individualized and consists of functionally sounds movement training, strength and conditioning with a strong focus on basic and proper technique. Sessions become progressively more challenging once basic techniques are mastered and will include acceleration and agility drills that develop components of linear and lateral movement. Power and strength capacity strategies will be incorporated and scaled accordingly. The conclusion of each session will focus on recovery to create longevity in the athlete’s career. These are for athletes that are signed up and assigned to a group time slot. We want to ensure that you have the health and fitness to play in your adult league, play with your kids, or simply reach an active lifestyle. Programming consists of functionally sounds movement training that focuses on an individual’s established fitness goals. Programs are designed to develop whole-body strength and stability so you can move well and stay pain free. 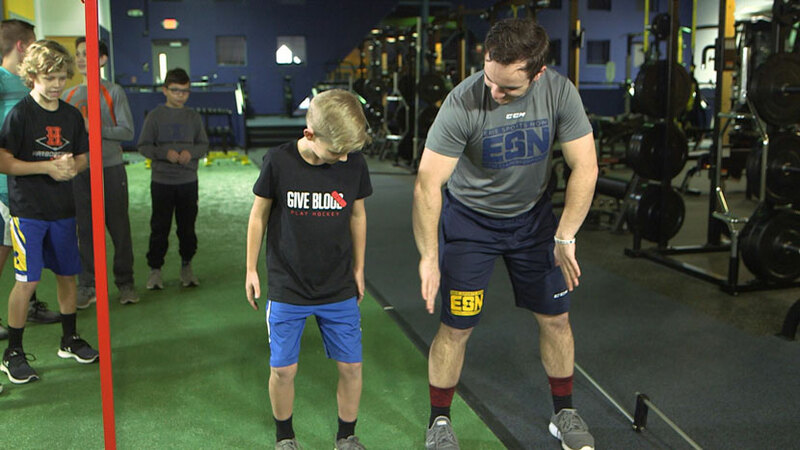 The program is designed to improve physical literacy and the interrelationship of body awareness and coordination through movement fundamentals by using games, challenges, and body weight strength-training exercises to build a foundation for more advanced skills. Long-term athletic development is at the root of each session. The key to sustainable training and athletic performance is to move well. If an athlete is inefficient in a movement, they have to utilize other musculature and supportive tissue to complete it, reducing their ability to perform them at risk of injury. • Identify the individual movement needs that must be addressed prior to performance consideration. Whether you missed a group training session or simply want to practice skills, foam roll, stretch or use the cardio equipment, the open training membership allows you to use the Erie Sports Fitness & Training Center during available open training times. See a coach for scalable options. All open training members must register for training time. Max capacity is 50 members per hour and 25 during program times. 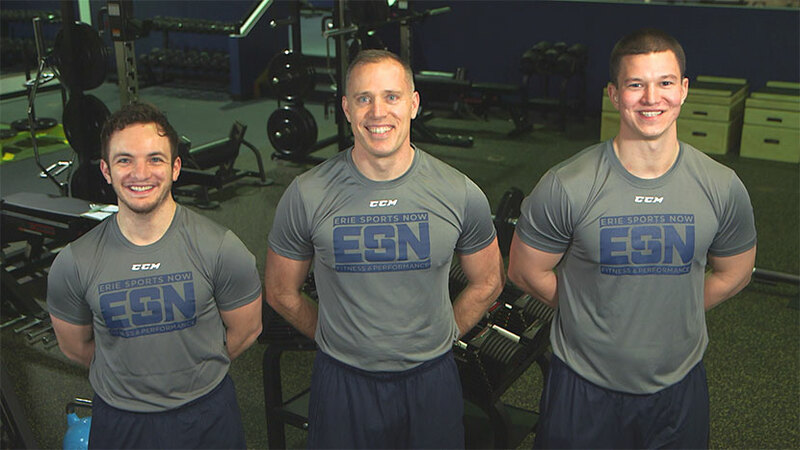 Erie Sports Now Fitness & Training Center features PUSH technology with industry-leading algorithms to provide actionable analytics that take coaching and programming to the next level. Testing an athlete’s workout readiness can be measured prior to training, which create a safer fitness experience. Optimal daily training loads can be determined through velocity measurements and help regulate or scale exercises that best fits an individuals training program. Each and every movement has the potential to be captured and used as data for improving the athlete’s physical development. For up to date scheduling, programming and to purchase a service or Open Training Membership, download our app at ESNFitness on the App Store for Apple or Google Play Store for Android. Tyler Travis is Director of the Erie Sports Now Fitness & Training Center. Travis has over 15 years of experience in the area of high performance training with professional and amateur athletes, weight loss and medical integration. He enters his 5th season as the strength & conditioning coach for Mercyhurst University’s men’s and women’s hockey teams. 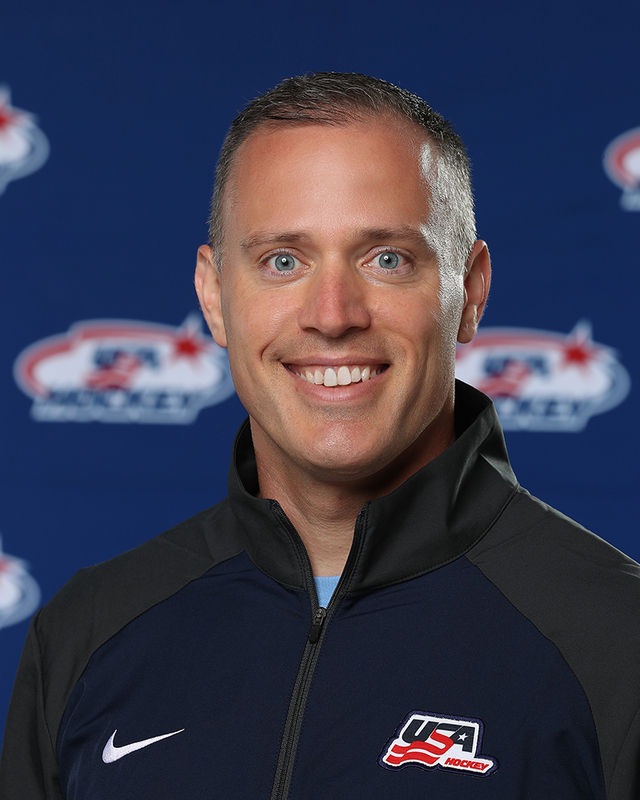 Travis recently served in a strength and conditioning coaching role with USA Hockey National Player Development 2018 Summer Camp. Travis has previously worked in a strength and conditioning position with the Erie Bayhawks, the local NBA Development League team. Travis, an Erie native, received his bachelor’s degree in psychology from Penn State Behrend and then went on to earn his master’s degree in exercise physiology from Minnesota State University at Mankato. He is certified by the America College of Sports Medicine (ACSM) as an Exercise Physiologist. He is also a Certified Strength and Conditioning specialist (CSCS) through the National Strength and Conditioning Association. He is specialized in the development of corrective movement programs and is a Functional Movement Screen Certified Specialist. He is also certified as a sports performance coach through USA Weightlifting. In addition to his coaching, Travis serves in an advisory strength and conditioning role for Northstar Christian Academy Prep Team in Alexandria Minnesota that competes in the NAHL Prep League. Travis also is an affiliate instructor for the American College of Sports Medicine. An Edinboro, PA native, Colin serves seasonally as Strength and Conditioning Coach at Erie Sports Now Fitness & Performance Center. Colin is the Head Strength and Conditioning Coach for the Lowell Spinners, the short season affiliate for the Boston Red Sox. He played a pivotal role rehabbing and training training players for the Boston Red Sox organization during the year of 2018, when the Red Sox won the World Series. Colin has a Masters of Science in Sport and Exercise Science from Gannon University, along with a Bachelor of Arts in Health Sciences from La Roche College. He was an All American baseball player for the Redhawks baseball program. La Roche Redhawks won 3 AMCC Championships during his career there. Before the Red Sox, he worked at TCU, Texas Christian University. He was under the tutelage of Zach Dechant and Don Sommer. He assisted mainly with baseball and football but also worked with other Olympic sports, including men basketball, men and women golf, beach volleyball, women soccer, track and field, and women volleyball. Prior to TCU, he was at Tiffin University, working with football. Before Tiffin, he was at Gannon University working with baseball. Colin is a Certified Strength and Conditioning Specialist through the National Strength and Conditioning Association, and is certified as a sports performance coach through USA Weightlifting. Justin returns to Erie after serving as a strength and conditioning coach with Peak Fitness and Performance in Worster, Massachusetts. Justin earned his undergraduate degree in Human Performance from Edinboro University and a Masters degree in Sport and Exercise Science from Gannon University. Justin is a certified strength and conditioning specialist, as well as a certified EXOS performance specialist. Justin’s previously trained the Worcester Railers of the ECHL and also served as the Head Strength and Conditioning Coach of Becker College and Worcester Academy. Justin has experience working with professional, college, high school and youth athletes. He also has experience personal training the active aging population. Justin brings 17 years of hockey playing experience and 2 years of skating at ice cross downhill with Redbull Crashed Ice.